Home | Skin Care | Neutrogena Light Therapy Acne Mask Review: Does It Work? What Is An Acne Mask? With age we’ve realized that we want the results more than we want the pampering. We’ll do almost anything in order to get clear skin, but we don’t have the time or patience to ‘wait for results’. Having said that, nobody rushes around while trying to hurriedly slap on a face mask. There is a certain sacred ritualization to this touted self-care option. It gives your face that deep clean that other scrubs and cleansers aren’t able to. When it comes to the dreaded word – acne – luxuries such as face masks are often avoided like the plague. Unless your dermatologist has suggested to you, well, anything…you don’t go near it. Especially anything remotely like an ‘at-home’ treatment. I’m here as your acne fairy godmother to say that those frightful days are over. Face masks are just another part of your skin care routine. Everyone should be using one at some point! They clean deep into your pores, unlike those lighter on-the-run treatments. But how do you go about finding the right ‘acne mask’ for you? How do you know you’re choosing well? Neutrogena’s light therapy acne mask. Just the term ‘acne mask’ used to give me the shivers. I get anxiety when it comes to putting anything on my sensitive face. The truth is that masks are just another way of treating your skin – like a lotion or an ointment. They activate the skin to improve its functioning. The main ingredients to look for in acne masks are exfoliants and antioxidants. The exfoliants remove excess oil and discolored dead skin cells. And the antioxidants protect the skin from free radicals, increasing collagen production. Collagen provides the strength and elasticity that your skin needs to keep it looking fresh and healthy. Besides from the ‘regular’ acne masks – like the creams and the sheets – there is another type of acne mask called a light mask. Those who have a more severe case of acne might have heard of this type of treatment from their dermatologist. It’s less common because it’s usually treated by the dermatologist themselves in a clinic and is super pricey to buy at home. Light masks are highly effective for treating acne, as they use LED lights rather than chemicals that could react with the skin. Different light therapies target different parts of the skin, but everyone can agree that they provide a safe yet deep penetration. Neutrogena’s Light Therapy Acne Mask provides a rare at-home effective treatment for people suffering from blemishes. Neutrogena’s light therapy acne mask is a much easier way to get clear skin. 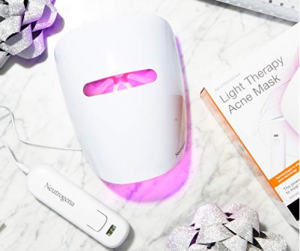 Neutrogena’s Light Therapy Acne Mask is a revolutionary face mask that gives you results which could previously only be achieved in a dermatologist’s clinic. The mask has two main ‘ingredients’, or rather, components: red light and blue light. Red light therapy uses low-level wavelengths to enhance cell function, which regenerates the surface of the skin. 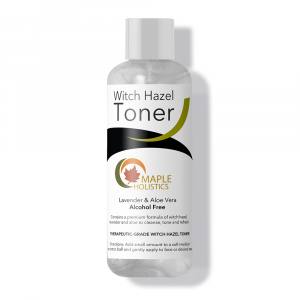 This results in clearer skin and a reduction in possible scarring. In terms of eradicating acne – so far, so good. Moreover, Neutrogena employs red light therapy in order to reduce inflammation. Inflammation is one of the most painful symptoms of acne, and targeting this drastically diminishes skin redness and spot size. Essentially, red light therapy increases good cell function. 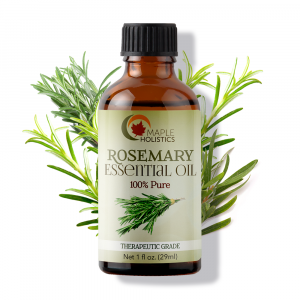 This helps to boost the production of collagen, which strengthens and regenerates the skin. Blue light therapy is also known as photodynamic therapy. Basically, blue wavelengths can only reach areas that light can get to, so blue light therapy targets areas just below the skin. Due to the fact that the blue light treatment is so gentle on the skin, this therapy is most effective for mild to moderate acne. Blue LED removes the bacteria that causes inflammation, reduces pore size and stabilizes oil production. It improves your skin’s texture from the outside in. The red light and blue light work together to give you a fresh look. Now that you know what components go into a light therapy acne mask, let’s have a closer look at the effects of these LED lights on your skin. The blue light penetrates your pores to target the bacteria that builds up in the ‘problem areas’. Unlike other treatments that struggle to reduce bacteria, blue LED therapy eliminates acne-causing bacteria before they can feed off of the oil glands. This means that with prolonged use, the blue light really gets to the core of the problem. I know it’s sounding great so far, but it’s important to be aware of the side effects of blue light therapy. If you suffer from conditions such as lupus or epilepsy, or if you’re pregnant, you can’t use LED treatments. What’s more is that if you’re on medication such as antibiotics or retinol (or any photosensitizing medicine), you need to be off these medications for a week before undergoing light therapy. The effects of the red light harmoniously counteract that of the blue light. The blue light kills the bacteria under your skin, which can lead to redness and tender skin. The red light effectively neutralizes the aftermath, lessening the inflammation. 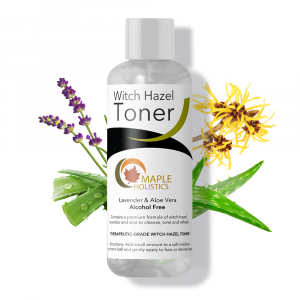 This simultaneously reduces the puffiness of your overall complexion, not just the acne areas, freshening your whole face without drying it out like some other acne treatments tend to. Don’t forget to moisturize after using the mask. My favorite aspect of the Neutrogena Light Therapy Acne Mask is that it makes you look like you’re auditioning for a role in Star Wars. The mask is worn just like sunglasses, and you have to leave it on for 10 minutes. The activator that comes with the mask powers 30 treatments. Once that runs out you just need to purchase a new activator, not a whole new mask. Although I can’t complain that I get to play dress-up, I have to say that the mask isn’t particularly comfortable. You can’t really do other activities while wearing it. Personally, for me that has been resolved by getting in my nightly Netflix binge while wearing the mask. Also, unless you’re used to the strobe lights at the club, then your eyes might take a little time to adjust to the red and blue hues. Honestly, though, these are small prices to pay for the results. After continued use, my skin looked noticeably healthier. I use it at night after I’ve cleansed my face, so my skin is clean and clear for effective light penetration. When I’m done, I apply a quick moisturizer and I can feel that my skin’s texture is clearer. And not only in the acne areas. I was actually anticipating some damage in the areas that were getting the light treatment that didn’t need it. The reality was that my whole face was glowing. It looked healthier and hydrated. I think it’s worth mentioning that you need to stay on top of these treatments. Just because it’s not a weekly appointment at your dermatologist doesn’t make it any less important. Commit this mask to your beauty regimen like you would any other product in order to reap results. If you’re suffering from acne and are sick of slathering various lotions and potions on your face to no avail, it’s time to try Neutrogena’s Light Therapy Acne Mask. Honestly, you’re going to wish these were around when you were thirteen and your mom just gave you an expired tube of her ‘strongest stuff’. This mask is a game changer. 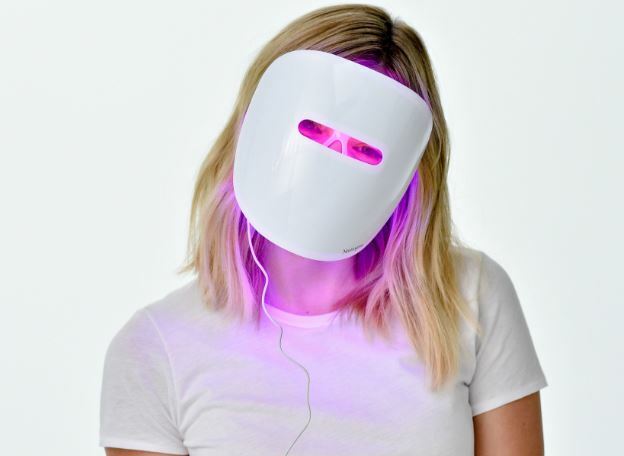 The dual-action technology provided by this light mask cuts off your viscous acne cycle once and for all. It reduces redness and it also kills the acne-causing bacteria, while you just sit there looking like a stormtrooper. It makes a nice change to the leprosy-looking white patches you usually have to deal with when you’re applying acne creams. The only thing I’d mention is that it doesn’t really tackle the aftermath scarring of those pesky pimples. I’d recommend dealing with those separately. 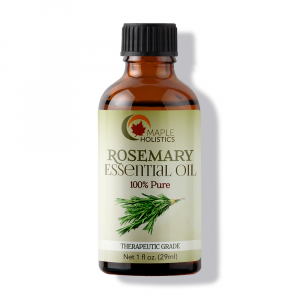 I religiously use Vitamin E oil to heal any scarring I have – everywhere, not just on my face! It regenerates and repairs the skin. 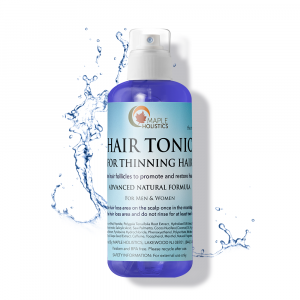 I apply it nightly and have experienced miracle-like scarring disappearance! The only flaw I personally feel that Neutrogena has is that they’re not cruelty free. While they don’t conduct any animal testing themselves as a company, they allow countries who require it under regulation to do so. That being said, this is one of those occasions where the pros might outweigh the (ethical) cons. Try it for yourself and see. Garnier Moisture Bomb Face Mask Review: Is It The Bomb? Avon Mascara Review 2019: Is Avon's The Best Mascara In The Game?